The exams should be to what you’re asking for, what kind of compensation. If it’s the first claim to say that something is related to service, like a back claim saying, “I believe that my back was injured in service and that’s why I currently have this disability,” the question isn’t really so much the extent of this disability now; the question is whether it’s related or not. Matthew: Hello, and welcome to the Hill & Ponton Veterans Video Blog. I’m Matthew Hill. Matthew: Today we’d like to talk to you about C&P exams – more specifically, how you as a veteran should prepare for them. When you get a notice in the mail for a C&P exam, it’s important to understand what it’s for. Unfortunately, a lot of times, they don’t send you that information. Carol: But if you call the number, they will tell you exactly what it’s for and you should do that. That’s the number on the notice that you got for the exam. Matthew: The exams should be to what you’re asking for, what kind of compensation. If it’s the first claim to say that something is related to service, like a back claim saying, “I believe that my back was injured in service and that’s why I currently have this disability,” the question isn’t really so much the extent of this disability now; the question is whether it’s related or not. But most of the C&P exams we see are for the rating to say, “Is this the proper rating?” The veteran goes and, as Carol said, hopefully they’ve called to see what kind it is, but we feel like there is more than just calling that should take place. Carol: You need to know how the VA rates people. What’s the point of the exam? What are they looking for? For instance, backs. If you have horrible, limiting back pain, you wouldn’t think that your entire rating is based on how far you can bend before the pain stops you, but that’s it. A lot of people go in and they’re talking about the pain and how it devastates them, but they bend too far and they get a zero or a 10%. You need to know what the VA is looking for. They actually have what’s called DBQs. Those are a guide, an outline that the C&P examiners use when they’re figuring out how to evaluate you for your C&P exam. Matthew: Yeah. DBQ is Disability Benefits Questionnaire. I will link to that in the blog notes on this. Clearly, all of it will not apply to you, and there might be some that do apply that you just don’t know because it’s a medical term. But the more knowledge you have before going in, the better. Carol: Let’s go to the back again. Usually, most people can’t get more than a 40% rating for their back. Unless your back is fixed in one place so it really doesn’t move, that’s all you’re going to get. Where you get the additional ratings is in the problems that the back causes. For instance, how about radiculopathy where you have that pain, that electrical feeling that goes down your leg, or you have numbness in your feet? What if you become incontinent? All of these things relate to the back but if you don’t bring them up, don’t wait for them to mention them. It’s important that you bring this out. Matthew: That’s a really good point. This isn’t like a treating doctor’s visit. When they ask you how you’re doing, you don’t say, “Oh, I’m okay,” or, “I’m doing well today.” That’s going to be written down and, unfortunately, used against you. When you go in there, you need to be ready to offer as much detail as possible. As Carol said, you don’t wait for the question. You say, “Oh, and we didn’t talk about this: my incontinence related to my back,” or whatever it is. You need to go in. Matthew: It’s just things you need to be aware of going in there. Now, a couple of other things with C&P exams: we always recommend that they take somebody with them. A lot of times, our veterans will ask if we as their attorneys can go, and that would just be a nightmare. The VA would throw us out of the building. We ask the veterans to take a spouse, take a good friend just to be there to watch. Wives are the best. When a veteran will say, “Oh. My pain is at a six.” The wife will say, “You haven’t gotten out of bed in eight days.” Make sure that the truth is known. Also, they’re there to make sure that if something doesn’t go as it should at the C&P exam, there are two sets of eyes to talk to that instead of just the veteran. A lot of times, unfortunately, we see that the VA won’t even allow the buddy or the wife into the exam room. I still think it’s important to go. Carol: To be able to say he was only in there five minutes. The reason that supposedly you can’t bring somebody in is privacy. Well, it’s your privacy, and you have the right to waive it. But let me tell you what I saw in a Board of Veterans Appeal decision the other day that was really disheartening. This client had gone to the C&P exam, spent five minutes, did not do any of the measuring about how far they could bend and wrote a 4138 where he swore to what happened. He did that. His wife said how little time they spent with him. The VBA totally disregarded that. They said that we’re going to consider the regularity that this doctor would have done exactly what he needed to do. It didn’t happen that way. That really hurt the veteran’s case. 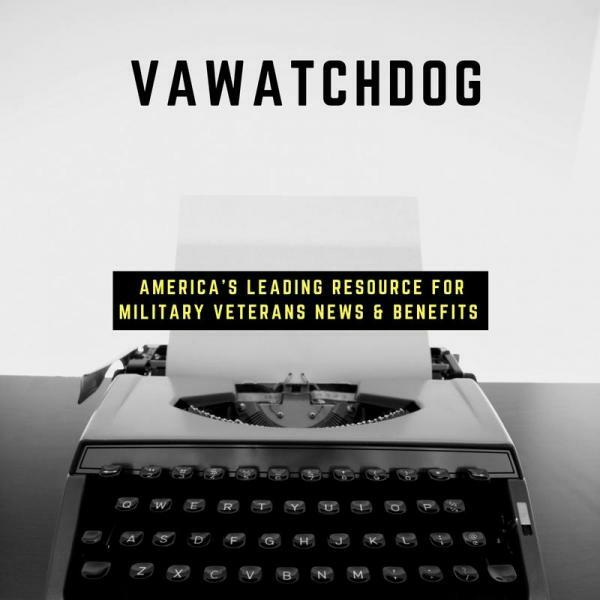 The more information that you can give to the VA about what’s happening, and if you feel that the exam wasn’t fair, tell the medical facility there. They need to know. They’re paying these doctors. They need to know did this doctor really evaluate you? That’s where you can get a change. Matthew: To wrap up, just remember that when you go to these exams, it’s not a friendly affair. You need to come prepared with information about how your pain and how your problem is affecting you. You need to try and understand how they’re going to rate that, and if you can bring people with you, that’s the way to go.